Thanks for visiting the Fifth Judicial Circuit web page. Court Services’ responsibilities to both adult and juvenile probationers are defined in our Mission Statement: Our mission is to serve the citizens of the State of South Dakota by preventing crime and repairing the harm caused by crime through public safety and crime prevention in the community, accountability and opportunity for positive change of the offender, justice for the victim, and respectful treatment for all involved. As you can clearly see, our mission is to work with those offenders, adult or juvenile, who have been arrested and convicted for violating the law. It is our task to hold offenders accountable for their negative behavior, while balancing the needs of the community through victim’s rights and public safety. It is our goal to make sure the offender leaves the system better than when they entered. This is accomplished by supplying probationers with appropriate tools through cognitive skills restructuring, alcohol/drug treatment, restitution payments, and community service. Other defined needs are indicated through testing instrument(s) which officers complete or through regular visits with the defendant, their family, employer, and any others who may be involved with the probationer. Court Services has three fully staffed satellite offices in the Fifth Circuit. The Aberdeen office contains two support staff, and six court service officers, of which two are exclusively juvenile intensive court service officers. Aberdeen is also the home office for Chief Court Service Officer, Garrett Ortmeier. The Selby office consists of one court service officer and one .80 FTE support staff. 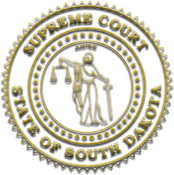 The Sisseton office has three court service officers, of which one is a juvenile intensive court service officer and a .50 FTE support staff. Court Services has office space in each of the ten counties of the circuit, with seven of these offices only being occupied during motion or court days. As mentioned earlier, the Fifth Circuit consists of ten counties. The area we supervise encompasses the counties bordering Minnesota and North Dakota and contains two Indian reservations. The counties in the circuit are as follows: Brown, Campbell, Day, Edmunds, Marshall, McPherson, Roberts, Walworth, Faulk, and Spink, or roughly a 200 x 95 mile area. On any given day there will be 900 adults on probation and 300 juvenile offenders.